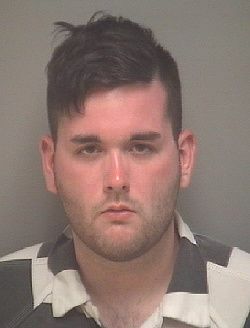 A jury found James Alex Fields Jr. guilty of first degree murder on Friday for the killing of Heather Heyer at a 2017 white supremacist rally in Charlottesville, Va. Fields rammed his car into a group of counterprotestors at an Aug. 12 rally, injuring dozens and killing Heyer. A jury convicted Fields on several counts of aggravated malicious wounding and leaving the scene of an accident. The infamous scene began during a Unite the Right rally on the campus of the University of Virginia. The rally was staged by a group protesting the removal of a Robert E. Lee statue on campus. A group of counter-demonstrators caused flare ups between the groups, and eventually the fatal ramming of the car into the crowd. The jury deliberated several hours before handing down its verdict, according to this report by National Public Radio. Whereas prosecutor Nina-Alice Antony showed Fields as an “angry white nationalist” filled with hate, his defense attorney, John Hill, said the 21-year-old Fields was acting in self-defense. Antony painted a picture of authorities shutting down the Unite the Right rally, and the Fields driving his Dodge Challenger into a crowd of unsuspecting demonstrators still lingering. She talked about bodies flying through the air, following a hate and violence-filled intentional act. And during the trial, Antony brought out a meme Fields posted on social media three months earlier depicting protestors’ bodies flailing about after a car plows into them. Hill, on the defense, said his client was “scared to death” and drove his car sporadically in fear the throngs of people would attack him during the violent clashes on the street. Heyer was a 32-year-old paralegal reportedly attending her first-ever protest, according to this report. One of Heyer’s friends at the rally, Marcus Martin, recalled the scene that day in Charlottesville, and the NPR reporter had to dictate her conversation with a shaken-up Martin. Fields lived in Ohio with his mother, and he drove overnight to be a part of the rally. He has been charged with a hate crime, which carries the death penalty.